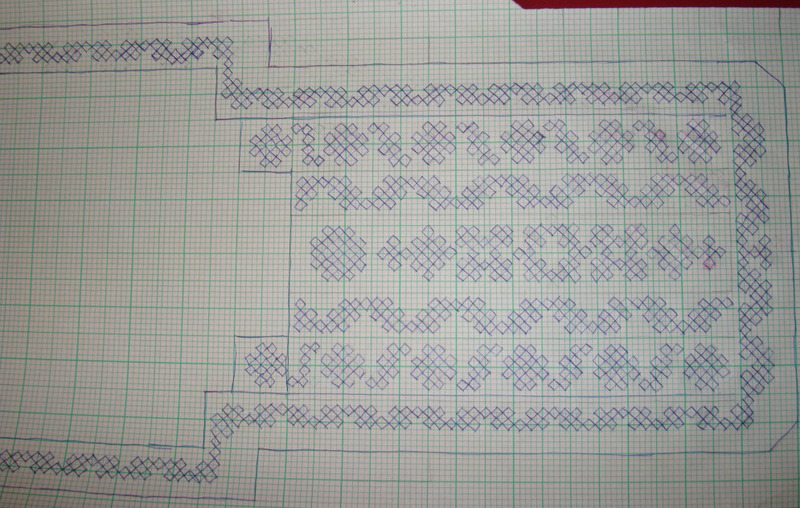 I wanted a yoke pattern made of woven kutchwork motif and borders. I had this hand woven dupatta [scarf] in purple with checked pattern. The tunic with which it was matched was long gone. Actually I took pictures while working the different motifs, but the size of the motifs were too small, that the weaving and interlacing wouldn’t have been very clear. But if any of the motifs were found interesting, I can share the details. 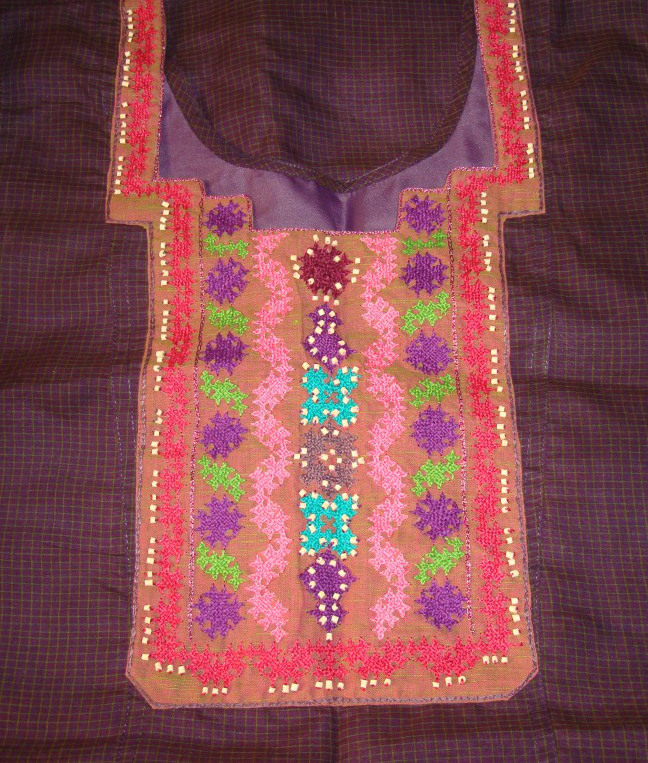 All the motifs and the borders were worked with woven kutchwork. 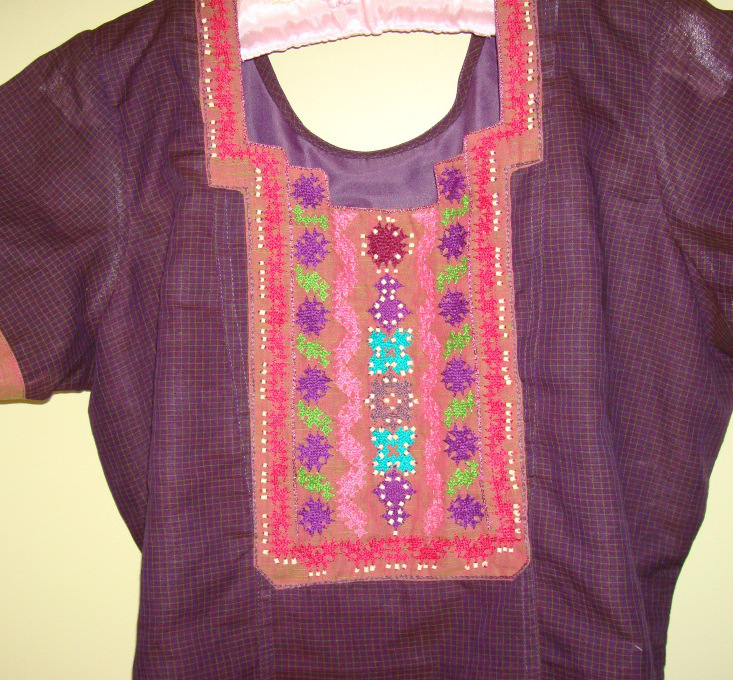 The detail of the yoke, I added some light colour wooden beads for embellishments, they were not necessary. The yoke pattern on graph.